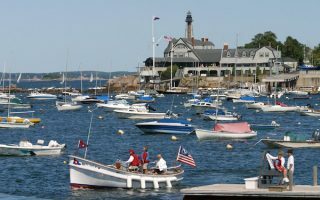 Boston’s North Shore features numerous attractive, coastal towns. Each has its own history, industry, and unique feel. In addition to being popular visitor/tourist destinations, they’re also bedroom communities with train access to Boston. 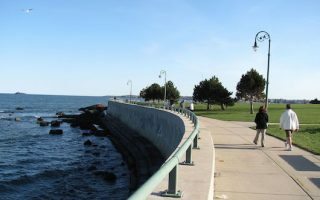 We’ve put together a list of fantastic running routes, highlighting the waterfront, beaches, and historic town centers, working our way north from Revere and including Swampscott, Nahant, Marblehead, Salem, Beverly, Ipswich, Manchester-by-the Sea, Gloucester, Rockport, and Newburyport. There are several great running beaches on Boston's North Shore. Closest to Boston is Revere Beach, and just north, Kings Beach and Nahant Beach. 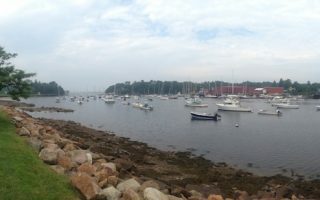 The most scenic is Crane's Beach in Ipswich. Salisbury Beach near the NH border is also good for running. 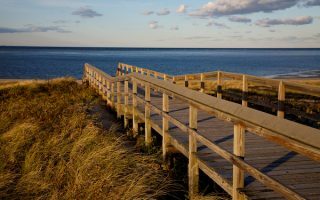 We love this run for its combination of boardwalk and runnable beach, with great water and Boston skyline views. There is a wide paved sidewalk/boardwalk paralleling Nahant Rd. and Lynn Shore Drive for nearly 3 miles. A fun running tour of the island of Nahant. Quiet roads for running with water views, some pretty homes, parks, and hills. Our full loop is 7 miles, but can be shortened, or lengthened with water views for 3 more miles to Swampscott! One of the prettiest and most historic towns on Boston's North Shore. 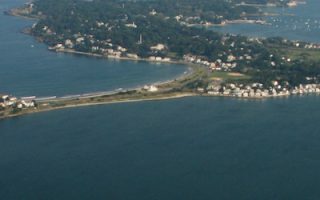 Wonderful running options include a loop of Marblehead Neck, waterfront roads hugging the harbor, historic streets, and off-road options on conservation land and a 4-mile rail trail. 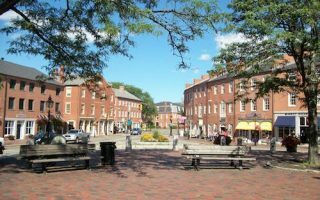 A 'runseeing' tour of this historic coastal town, famous as a seaport and for the 1692 Witch Trials. 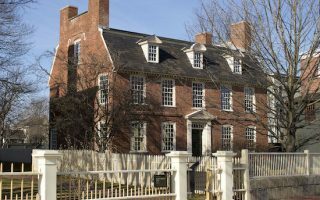 Our 5-mile route is a modified version of the red-lined Heritage Trail, passing Salem's major sites, historic downtown, and the waterfront. 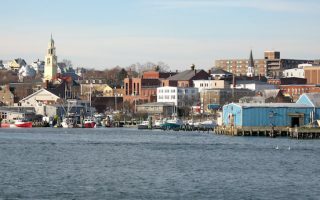 Beverly is another pleasant town on Boston's north shore, just north of Salem. We've put together a 4-mile loop, combining some lovely waterfront running, several parks, and Beverly's historic downtown. This affluent coastal town is known for the white-sanded Singing Beach. The best running is to create your own route along Beach St. and the roads off of it, leading past gorgeous homes and out to scenic vista points. Also nice running in Coolidge Reservation. Important center of the fishing industry and a popular summer destination. The best running is a ~2 mile stretch along the Harbor, and on Eastern Point, where the Atlantic Ave. side boasts fantastic views and homes. The hilly village is also fun to explore. 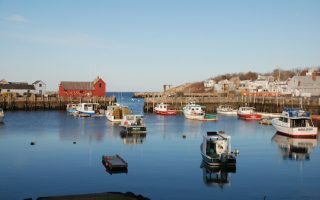 The town is known for its fishing harbor, granite quarries, boulder-strewn beaches, and the famous "Motif #1". We've mapped a 3.3 mile one-way run near the center, with waterfront homes, great views, beach, and Bearskin Neck. 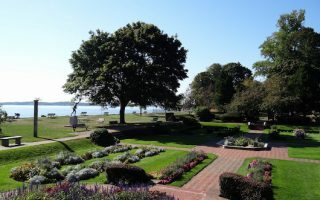 Great coastal town with terrific running options: 4.5 miles along the water and marshes out to Plum Island; Clipper City Rail Trail; and Maudslay State Park, with miles of trails featuring 19th century gardens, rolling meadows, & towering pines.